L.L.L4L.L.L. : Building Bridges with your community during Bookweek!! Building Bridges with your community during Bookweek!! A quality school library is kid friendly and student focused. Does your child's school library measure up? For further info on these questions go to Your Child's School Library:What you should know on my Parents-Partners in teaching and learning blog. teachers. *A teacher-librarian holds a recognised teaching qualification AND qualifications in librarianship, with curriculum and pedagogy knowledge combined with library and information management knowledge. Learning today means more than memorising facts. It means learning to learn for a lifetime. Savvy parents and educators know that the school library is key to teaching students not just to read but to practice the skills they need to seek, evaluate and use information throughout their lives. In fact, research shows those students from schools with professionally staffed, fully equipped libraries score higher on literacy and achievement tests. Research shows that children who are read to in the home do better in school. Every Australian student deserves a quality school library with a qualified teacher librarian. 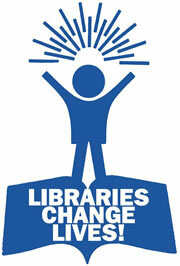 Help spread the word by signing the petition "A Qualified Teacher Librarian in Every School"